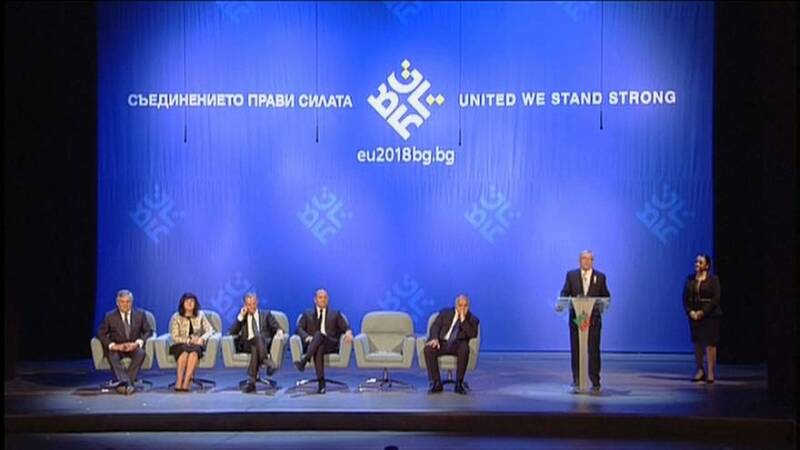 Bulgaria has formally taken over the EU's six-month rotating presidency, for the first time. Prime Minister Boyko Borissov, a former bodyguard to the Soviet-era Communist dictator, welcomed fellow conservatives who run the three main Brussels political institutions to Sofia, pledging to help ease tensions between east and west inside the EU and between the Union and its Russian and Turkish neighbours. The European Commission President, Jean-Claude Juncker, used the historic occasion to offer support to Sofia's demand to join the euro and the Schengen free-travel zone. "Your place is in Europe, and your place is in Schenghen, and your place (clapping) is in the Euro. We'll work for that," said Juncker. The move comes 11-years after Bulgaria, the EU's poorest nation, joined the bloc.